Measuring 182cm, Portimonense SC's average player height matches the one of Wellington Carvalho. The 26-year-old Wellington Carvalho was born on November 21, 1992 and is therefore one year older than his team's average age. Back in 2017, Portuguese forward Wellington Carvalho's contract with Portimonense SC (Portugal), the club he is still a member of, took effect. He prefers to play with any of his feet, as do 14% of his teammates. He is currently tenth in Primeira Liga (Portugal) with his team Portimonense SC. Wellington Carvalho had 22 match appearances this season. His best season was Segunda Liga 16/17 (Portugal), because in this year he had his highest success in terms of both match presence and goals. Portimonense SC's number 27 is Wellington Carvalho. He reached the 90 appearances milestone as a professionl, the last one being today. Weighing 165.35lb, he equals the average player on Portimonense SC. Besides Wellington Carvalho, there are eight more forwards in Portimonense SC's lot: Jackson Martinez, Bruno Tabata, Aylton Boa Morte, Paulo Boia, Ruster, Joao Carlos, Chidera Ezeh and Kodai Nagashima. Already ten times a card was given to him in his tenure. His record stay with a club is his current one with one year and 10 months. 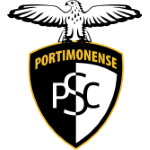 As for winning percentages, Wellington Carvalho won with Portimonense SC simply 20% of their home matches (10% in total) in Primeira Liga. Unfortunately, Wellington Carvalho's team recorded no wins in the last 5 games, registering a 3-games-in-a-row loss-streak including 1 draws. He played for FC Penafiel and GD Braganca before ending up in Portimonense SC. 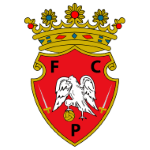 His shortest spell with a club was eleven months in FC Penafiel (Portugal). On the whole, Wellington Carvalho joined the pitch 27 times and left it 27 times after the start of the match. In the present term, he played less games from match start. This season he scored three and assisted no goals which is 7.9% of all of Portimonense SC's goals in Primeira Liga 18/19 (Portugal). On average, he hit the net 0.14 times per match this season which is a worse performance than last year's. Back then 0.17 goals and 0.17 assists per match have been achieved.